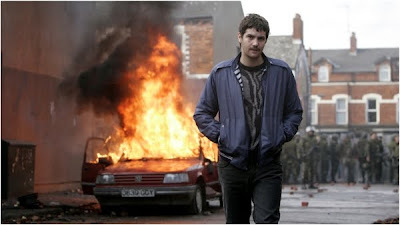 Solid, well-written, well-acted drama starring Jim Sturgess and Ben Kingsley, based on a true story of Martin McGartland, an IRA volunteer playing both sides with the British Constabulary Special Branch during the Troubles of Northern Ireland in the late 80's. Really, the only issue I have with the picture is the cinematography, which apes the shaky cam style of Paul Greengrass (who directed Bloody Sunday, also about the Troubles.) The shaky cam more often distracts than adds to the verisimilitude. Curious also how the entire movie is subtitled when everyone speaks perfectly understandable English, albeit with Irish brogues. Regardless, it's a fine movie, says I.